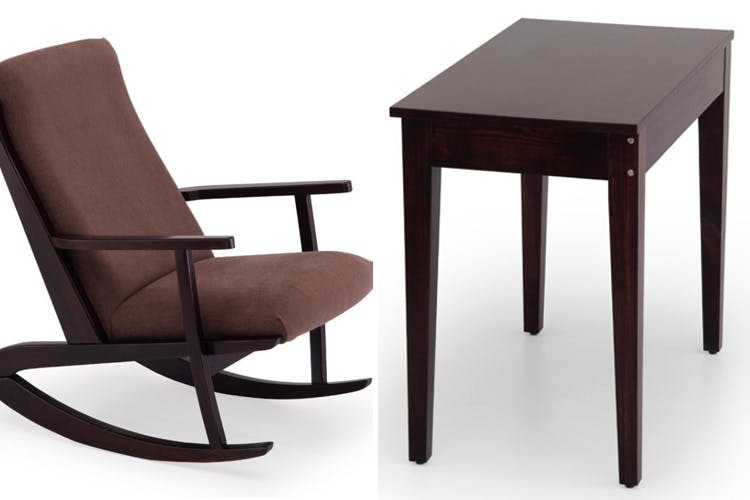 Classic Rocking Chair, Diwan & More: Have You Checked Out These Pieces Of Furniture At Ekbote? After a long hard day at work or college, you want to come home and snuggle up, get cozy and drink a hot cup of coffee or a tall glass of wine in the comfort of the choice of your own furniture. So, for that, we have selected 5 must haves from ekbotefurniture.com. This carefully carved and polished chair by Ekbote is the perfect addition to your living room or even your bedroom. Priced at just INR 14,500, it is the combination of providing relaxation and style to you and your home. The several layers of cushioning is bound to make you want to come home early! For the traditional lovers, Diwan is the perfect addition to your home. It comes with four bolster pillows that are bound to act like magnets to your body. The Diwan comes with a promise of taking care of you after a long day and at INR 51,000, it definitely is a must have! This classic wooden sofa is bound to make others in awe of your taste. It is elegant and is definite to not go out of style. For INR 46,600, it is the best you can get! For a book lover like myself, this piece of wood is surely going to make you drool. Specially carved out to make you feel like you are in a library with the attached shelves and a study table. And just at INR 33,000 what are you waiting for! This king sized double bed is all you need to have the complete look. It comes with 2 bed side tables and a cushioned headboard. A complete package that ensures to make you fall asleep within minutes. Prices at INR 32,000, it is a bargain! Don’t wait another second and go log on to ekbotefurniture.com to have a perfect home!